This ticket allows access to KappaFutur Festival on 6th & 7th July 2019. This ticket allows access to a VIP Experience at Kappa Future Festival on the 6th July 2019. This ticket allows access to Kappa Futur Festival on the 7th july 2019. This tickets allows access to Kappa Futur Fest and several VIP Areas | Fast lane entrance | Dedicated bathrooms | cloakroom | top-up stations | Premium cocktail bar. This tickets allows access to Kappa Futur Fest on Saturday 6th of July and several VIP Areas | Fast lane entrance | Dedicated bathrooms | cloakroom | top-up stations | Premium cocktail bar. This tickets allows access to Kappa Futur Fest on Sunday 7th of July and several VIP Areas | Fast lane entrance | Dedicated bathrooms | cloakroom | top-up stations | Premium cocktail bar. 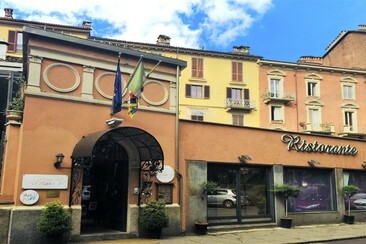 The Hotel San Luigi, a new four-star hotel, is located in the Municipality of Beinasco, the southern belt of Turin, not far from Turin's Corso Orbassano. 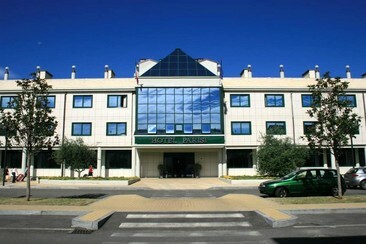 The hotel is 2.7 km away from the Centro Ricerche Fiat and 8 km away from the Turin Olympic Stadium. A buffet breakfast is served every morning. The rooms offer free Wi-Fi, flat-screen TVs and a private bathroom. Upgraded rooms add high-speed Internet access and minibars. Family rooms have extra beds. 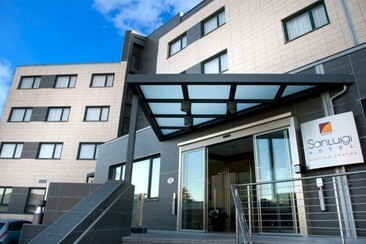 Hotel Parisi is located in Nichelino, a 10-minute drive from Turin's Lingotto Exhibition Centre. 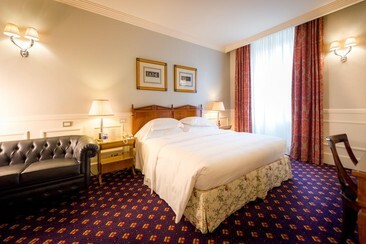 The hotel is close to the Savoy residence of Stupinigi, comfortable Lingotto trade fairs and the Turin congress centre. Sant'Andrea restaurant at the hotel serves Piedmont cuisine using ingredients from farms in the local area. All rooms have a modern design and are equipped with a minibar, free wifi, air conditioning and private bathroom. 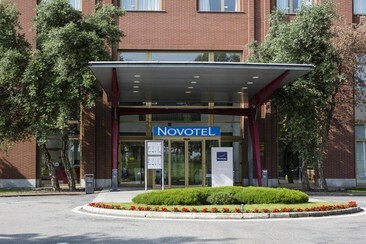 Novotel Torino is a modern, elegant hotel close to the main business areas of the city and surrounded by a green park. Guests can easily reach the centre of Turin by public transport in around 20 minutes. The restaurant boasts typical Piedmontese dishes, and guests can spend a relaxing evening in the bar with a peaceful drink. Rooms feature en-suite shower or bath, TV, tea/coffee making facilities and free Wi-Fi access. The Residence Hotel Torino Uno is located in a strategic position to reach the Grande Torino Olympic Stadium, the Pala Alpitour, the PalaTazzoli and the Lingotto exhibition centre. Moreover, it is near the new shopping centres I VIALI and MONDO JUVE in Nichelino and the IPPODROMO CAVALLI AL TROTTO in Vinovo. This 3-star hotel is a modern facility built in the mid-seventies and consists of 85 apartments (one-room and two-room apartments up to 80 square meters) recently renovated and equipped with bathroom with shower or whirlpool bath, kitchenette, minibar, LCD TV, air conditioning. Thanks to the convenience of public transportation and the proximity to various tourist attractions, the Residence Hotel Torino Uno is an excellent starting point for those who wish to visit Turin. 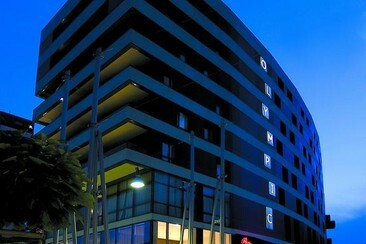 Doubletree by Hilton Turin Lingotto is a restored car factory which has become a design hotel. 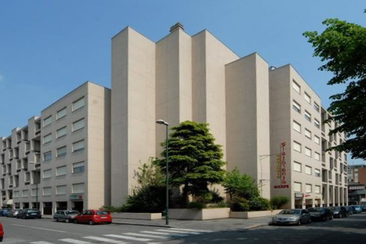 Connected to Lingotto Conference Centre, near Politecnico University and 600 meters from the Lingotto Metro Station. The building has free WiFi. It was restored by architect Renzo Piano and features a large central hall with natural light from the glass-roof above. The hotel's café and restaurant serves contemporary cuisine in a unique atmosphere. Rooms at the Lingotto Tech include an LCD TV, allergy-free materials, floor-to-ceiling windows, and bathroom with multi-sensory shower. Guests have free access to the running track on the roof, originally the FIAT test track. Lingotto is a great choice for travellers interested in art, ambiance and city trips. NH Torino Congress is set in the former FIAT car factory, redesigned by architect Renzo Piano. It features a rooftop jogging track, and is connected to Turin's Lingotto Convention Centre. The Lingotto, a unique building and landmark of Turin, is home to the Pinacoteca Giovanni e Marella Agnelli Art Gallery, a concert hall, shopping mall and multiplex cinema. All of which are connected to the hotel. The tropical Garden of Wonders is in the centre of this complex, overlooked by the hotel rooms and common areas. Rooms are comfortable, large and modern. 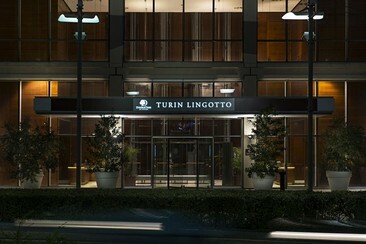 The Torino Congress NH hotel is 30 metres from Lingotto Metro Station and 3 km from Turin's Olympic Stadium. 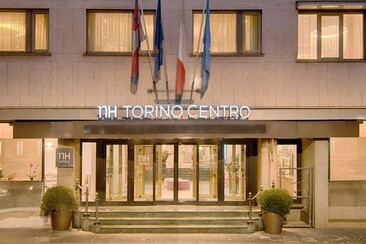 The NH Torino Centro hotel, is just a kilometer from Turin’s city center, near the Gallery of Contemporary Modern Art. It’s close to the city’s two major train stations, making it easy to get around and see the sights. The most famous attractions such as the Egyptian Museum, Piazza San Carlo and Mole Antonelliana are easily accessible by foot or via public transport from the hotel. The hotel has 182 recently renovated guest rooms, which are decorated in warm, cozy colors. Minibars, satellite TV and Wi-Fi come as standard. Upper rooms have views of the Alps. The hotel has a restaurant, which serves a huge breakfast buffet each morning. There’s also a cocktail bar that’s open all day, every day. Family owned Hotel Nizza is a 3-minute walk from Porta Nuova Train Station and offers a 24-hour front desk. All air-conditioned rooms have a seating area and LCD TV. 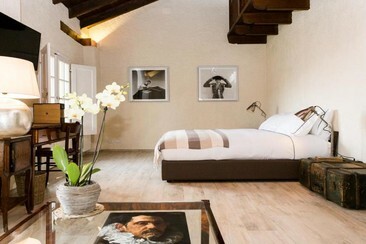 Hotel Nizza features classic style rooms with a private bathroom. Some single rooms come with small double beds and others offer a hydro-massage shower. Free Wi-Fi is available in most rooms. Just 50 yards away from Hotel Nizza entrance you will find the bus and Porta Nuova Metro Stop. Palavela Arena, Turin Cathedral and Parco Valentino Garden are a 20-minute walk away. NOTE: Tourist tax is not included and is EUR 2.80 per person per night to be paid by guests on departure. The "Art Hotel Olympic" was inaugurated in May 2006 in the new residential complex, which started life as Turin's 2006 Winter Olympic's "Media Village". The hotel is 10 minutes from the old town centre, is within easy reach of all main roads in and out of the city and is only 2km away from the new Juventus Stadium. In the immediate vicinity of the hotel there are two large shopping centres and a multi-screen cinema. Excellent hospitality and a warm welcome await you in a refined but friendly atmosphere. The Cascina San Vito is ituated in Turin, 3.6 km from Mole Antonelliana, charming and elegant accommodation in an attractive house with magnificent views over Turin. It's just a 10-15 minute drive from the centre. Each unit features a fully equipped kitchenette with a fridge, a seating area with a sofa, a flat-screen TV and an ensuite bathroom. Some units have a dining area and/or a terrace. Guests can also relax in the shared lounge area. The luxury 5-star Grand Hotel Sitea is located in the centre of Turin, right behind Piazza San Carlo and a 10-minute walk from Piazza Castello. There's also a relaxed bar/lounge and a regal restaurant with views of the courtyard garden. Other amenities include a guest lounge and a business center. The hotel offers 120 elegant rooms with an LCD TV, minibar and safe. Each has a marble bathroom, some with a spa bath and sot bathrobes. Free toiletries and slippers are always provided. 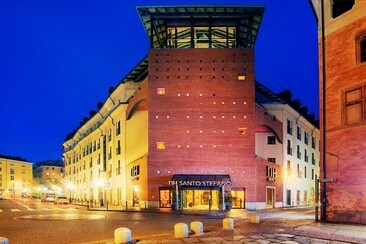 NH Torino Santo Stefano is in central Turin, just 150 yards from Turin's Cathedral. The hotel's rooftop terrace offers panoramic city views. Rooms are spacious and have free Wi-Fi. All rooms are air-conditioned and feature a minibar, LCD TV and a modern bathroom with hairdryer. The Hotel Dei Pittori is housed in a refined Art Nouveau villa built in 1897, located in Borgo Vanchiglia, one of the historic districts of Turin, close to the city's medieval city walls, a strip of land between the Po and the Dora (5 minutes on foot from the Mole Antonelliana). The quality of the Art Nouveau style and the aesthetic suggestions that characterize the hotel are revealed in the furnishings of its 12 rooms. 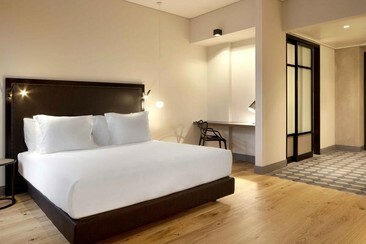 All feature beam ceilings, period furniture and smart TV, in addition to free Wi-Fi, minibars, and showers with saunas. Some rooms include ceiling frescoes, hardwood floors, skylights and/or balconies. Amenities consist of a stylish restaurant, private parking and spa services. Located in the very heart of Turin, NH Collection Torino Piazza Carlina is a great choice for travelers interested in shopping, food and ambiance. The 5-floor hotel features a restaurant and free WiFi throughout the property. Each room has a flat-screen TV and is equipped with a private bathroom fitted with a bidet. Extras include slippers and free toiletries. Some rooms feature a sitting area where you can relax. You will find a coffee machine in the room. There is a 24-hour front desk at the property. The staff speaks English. The hotel also provides bike rental. Polytechnic University of Turin is 2.1 km from NH Collection Torino Piazza Carlina, and Torino Olympic Stadium is 4.2 km from the property. The nearest airport is Turin Airport, 14.5 km from the property. Located 0.9 km from the Lingotto Train Station and 1.9 km from the Lingotto Conference Centre, this elegant hotel features free WiFi throughout. Laundry and ironing service is available. 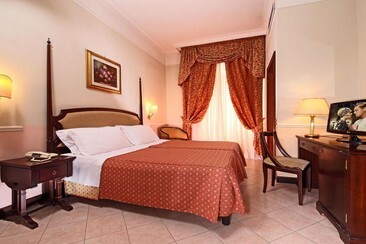 The air-conditioned and soundproofed rooms at Hotel Cairo have a private bathroom and an LCD TV. Some feature a minibar and satellite channels. Bus and tram Stops are about 45 meters away and give you direct access to the city centre, which is 6 km from the hotel. The Juventus Stadium is 11 km away, and Torino Porta Nuova Train Station is a 10-minute drive away. Saturday sold out, limited stock on Sunday ! Get to your location from Turin in comfort and on time! This service is provided by Flixbus and thus are subject to the T&Cs of Flixbus. On board the bus you will find free Wi-Fi, extra legroom, low-cost snacks and drinks, numerous plug sockets, toilets and a lot of room for your baggage. Please note: Coaches may be canceled up to 14 days prior to travel due to insufficient numbers.